Hello Friends! I hope you are doing well. Besides the sneaky quilty previews I have shared with you from time to time, I also work on other quilt-related things that I can’t really share until they are official. I have been working on things of the latter category quite a bit lately – that’s why I have been rather uncommunicative. Please stay tuned for some exciting news. Meanwhile, I have another free pattern to share with you. The Gallery is designed with Floral Philosophy, another contemporary fabric line released by Benartex. Tan and (dark) midnight blue is a rather new color combination for me. Is it for you? Click here to view the full fabric range. I rather like the red colorway myself. This is another design that is versatile for using up the large and small print fabrics in your stash. 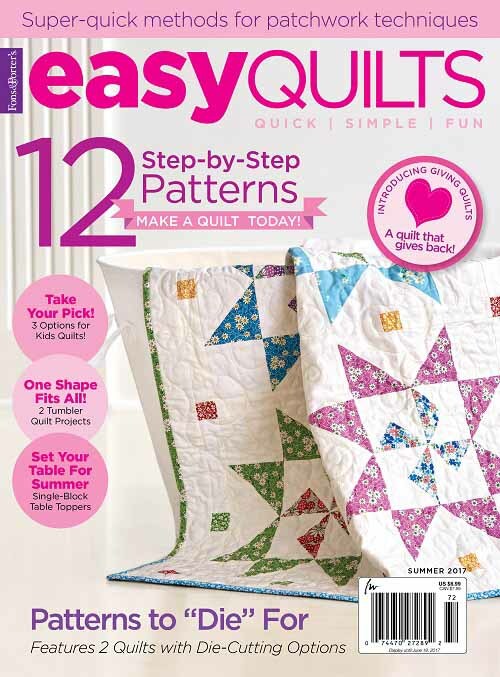 Click here to download the pattern instructions for free, compliments of Benartex. Enjoy! 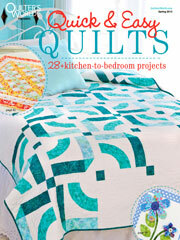 Curious mind wants to know… would The Gallery quilt go anywhere in your or someone else’s house? How/where should it be displayed? 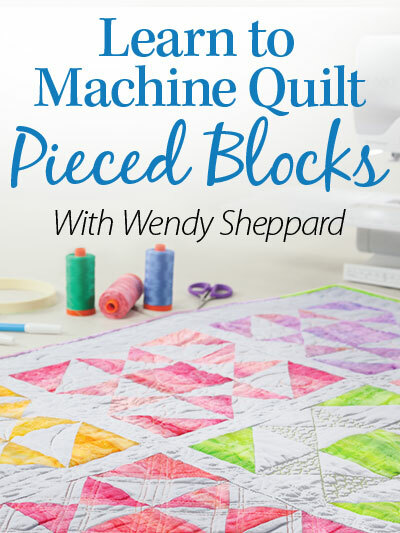 This entry was posted in Quilt Pattern, Quilting, Quilts: Pieced and tagged Benartex Floral Philosophy, Benartex Free Patterns, Wendy Sheppard Designs. Bookmark the permalink. Actually, this is abstract enough to be in a guy’s space. I really like the piecing/fabric combo!!! I see that, too. 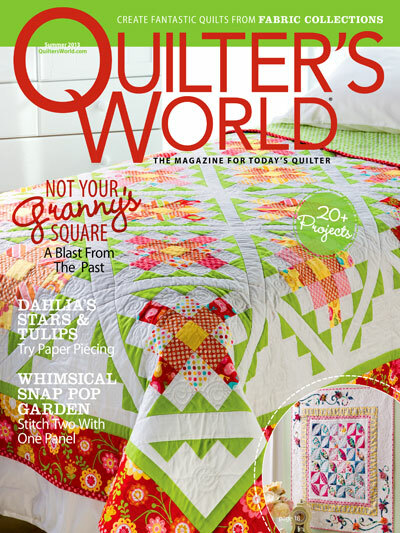 I’ve been toying with ideas for my 24-year-old nephew’s “grown up” quilt, and this one might work! I totally see it happening. I went back for a second look and like it even more!!! Of course I’d display this quilt; perfect for my guest to enjoy in their room. I love the fabric collection and I’d lean towards the red myself. The pattern and colors have a masculine feel to me. I would like to see it done in the fuchsia colors. You’ve piqued my interest…….I look forward to the “official” peek. Thank you very much for this pattern. I love to make it in scrappy colour. I’m with you, Wendy–I prefer the red colorway. I like how you made effective use of simple shapes. 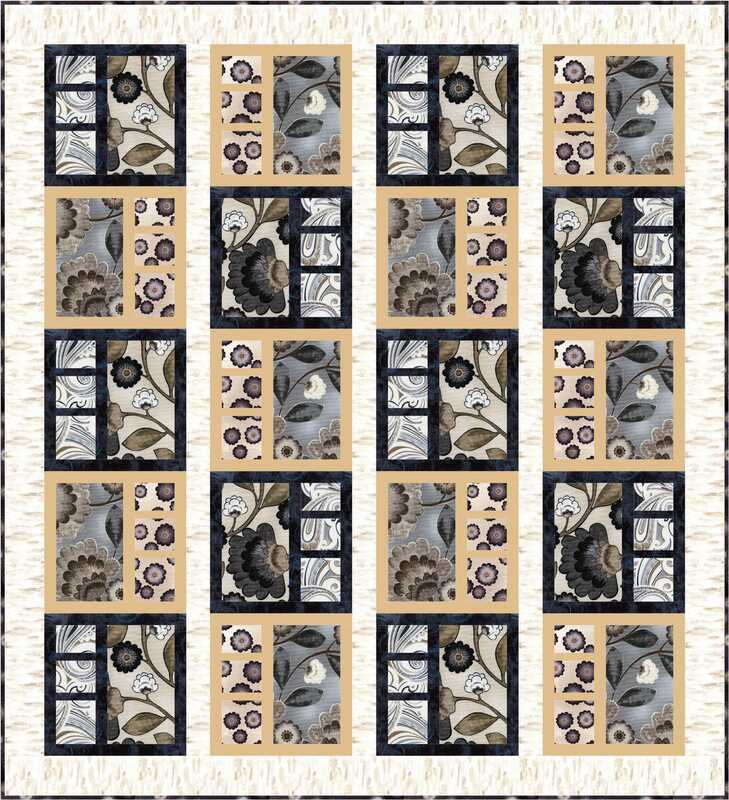 I think this would be a great wall quilt for a dinning area. You are right, Wendy, about it being a good pattern for large and small prints in our stash. Those fat quarters that still have a good amount of fabric in them. Have a great weekend! 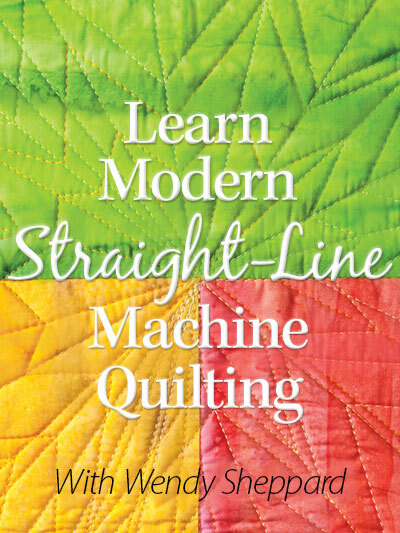 You know, I haven’t personally quilted with the beige, dove gray, and indigo blue color scheme, but I’ve seen so many breathtaking Japanese quilts with that color palette in QNM over the years. Your pattern is perfect with these fabrics, because it reminds me of those sliding screens in traditional Japanese homes. It’s very Zen and peaceful! 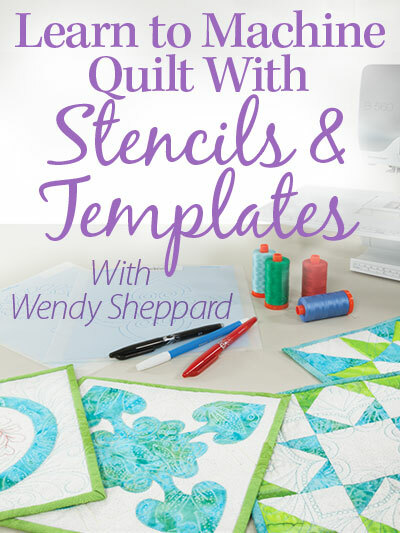 Hi Wendy, Thanks for the instructions for the lovely quilt. I just bought a bunch of fabrics with my grandsons in mind and I think this pattern will be perfect. I agree on the red colorway. Looking forward to your official announcement! This is a lovely pattern, it really works well for fabrics that you want to feature. Your news sounds exciting! Looking forward to hearing more about it! Thanks for the download,love what you did with it.